MONDAY, Aug. 1, 2016 (HealthDay News) -- Nearly 80 percent of children who have the seizure disorder epilepsy also have other health conditions, such as digestive troubles and attention-deficit/hyperactivity disorder, a large Norwegian study finds. "Parents should be aware of the increased risk of [other] problems for their children," said study author Dr. Richard Chin. Epilepsy is a chronic seizure disorder. It is estimated that nearly 4 million people in the United States have epilepsy, according to the U.S. Centers for Disease Control and Prevention. The new study included health information on more than a million Norwegian children from 2008 through 2013. About 6,600 of the children had a diagnosis of epilepsy, the researchers said. The data showed that nearly four out of five children with epilepsy had at least one other health issue. These included medical, neurological, developmental or psychiatric problems. Just 30 percent of the children without epilepsy had additional health issues, the study authors found. Children already diagnosed with "complicated" epilepsy had the highest overall levels of other health issues, but even the children with less complicated epilepsy were at risk compared to the general population. Complicated epilepsy is epilepsy that occurs with other disorders, and those disorders may share the same causes or risk factors with epilepsy, or in some cases they may even be the cause of the epilepsy, the study authors said. While experts have long been aware of the risk for other health issues in epilepsy patients, Chin said the researchers "were surprised that it was as high as 80 percent." Chin is a senior clinical research fellow in pediatric neurosciences and director of the Muir Maxwell Epilepsy Centre, University of Edinburgh and the Royal Hospital for Sick Children Edinburgh in Scotland. One strength of the new research is the size of the population studied and the wide range of issues the investigators looked at, the study authors said. After digestive problems, other common medical problems included birth defects not involving the central nervous system, musculoskeletal problems, asthma and other respiratory issues. Among the common neurological disorders were cerebral palsy, headache and neurologic birth defects (such as spina bifida). Attention-deficit/hyperactivity disorder (ADHD) was more than five times as common in children with epilepsy as in those without, affecting 12 percent of the children with the seizure disorder, the findings showed. Chin said the study findings are in line with a new view of epilepsy that has been suggested by some experts. "New definition proposals have sought to frame epilepsy as not just a seizure disorder, but as a disorder with a wide range of neurobiological, cognitive, psychological and social aspects," he said. Whether the other health issues may decline with age isn't certain, Chin said. While the 80 percent figure seems high, "it's believable," said Dr. Ian Miller, pediatric neurologist and medical director of the comprehensive epilepsy program at Nicklaus Children's Hospital in Miami. He reviewed the research. As for why children with epilepsy may be so prone to other health problems, Miller said he can speculate about several possibilities. Besides Chin's view that epilepsy is not just a seizure disorder, Miller explained that "kids with epilepsy take medications, which can cause side effects, which then [might] create a second problem." Seizures can cause injuries such as falls and fractures, and those can create additional problems, Miller noted. For now, Chin said, the best advice for parents is to be sure their child is thoroughly assessed for all aspects of their health. Those aspects include their development, psychiatric health, nutrition, growth and sleep quality. 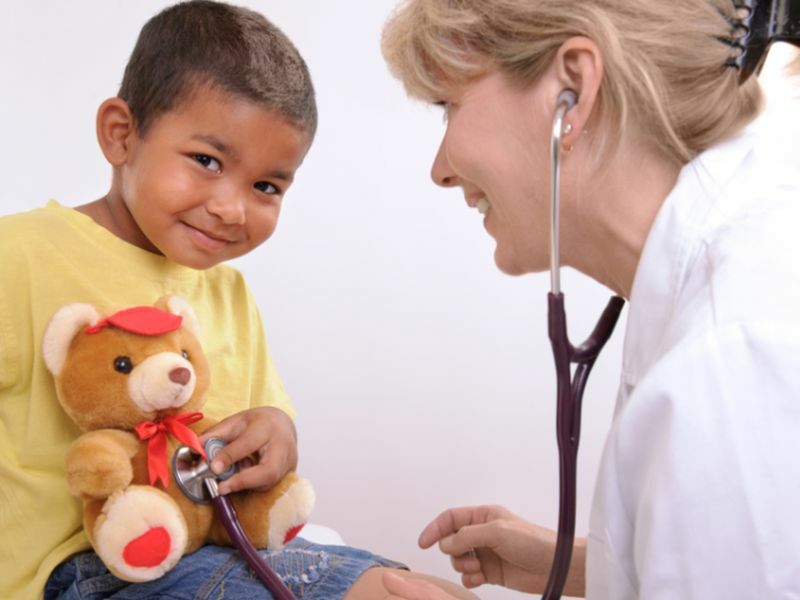 Miller added: "Make sure you discuss any new symptoms with your child's neurologist and/or pediatrician. Just because you have one medical problem, it won't protect you from having a second."